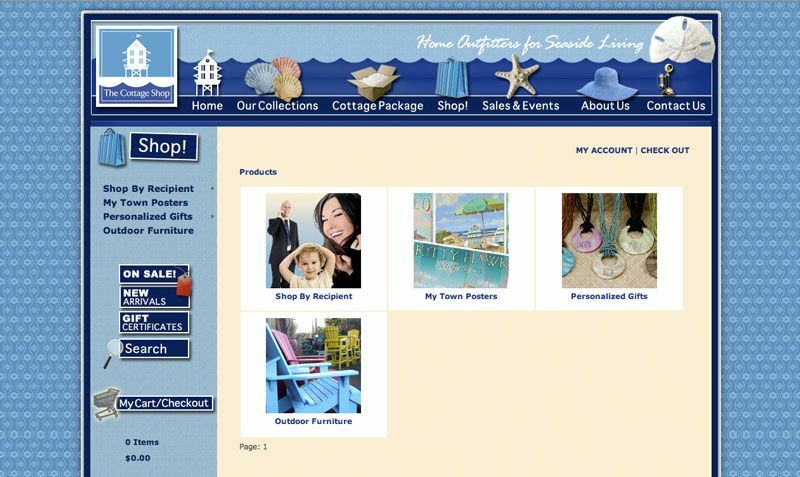 An image gallery of the shops fills the top of the home page. Custom banners for all of the categories. 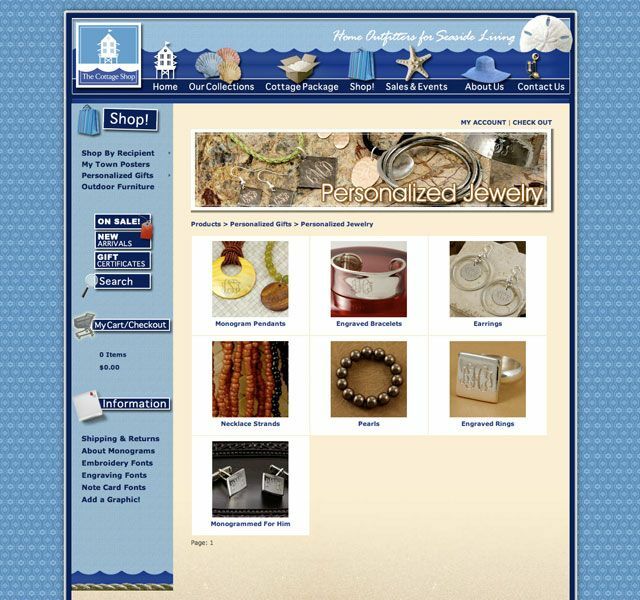 Custom buttons created for each shopping category. 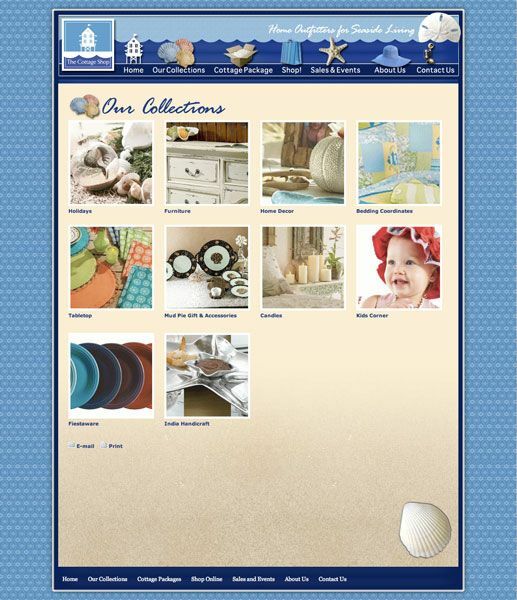 It’s easy to add categories and products with our intuitive ecommerce software. Be sure to show your personality on your website! 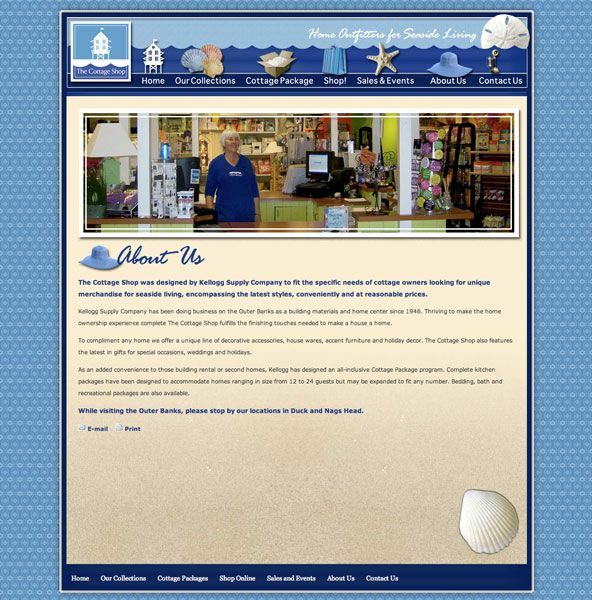 Bold Print Design Studio created a new ecommerce website for The Cottage Shop, a division of Kellogg’s Supply Company, both long time Outer Banks businesses. 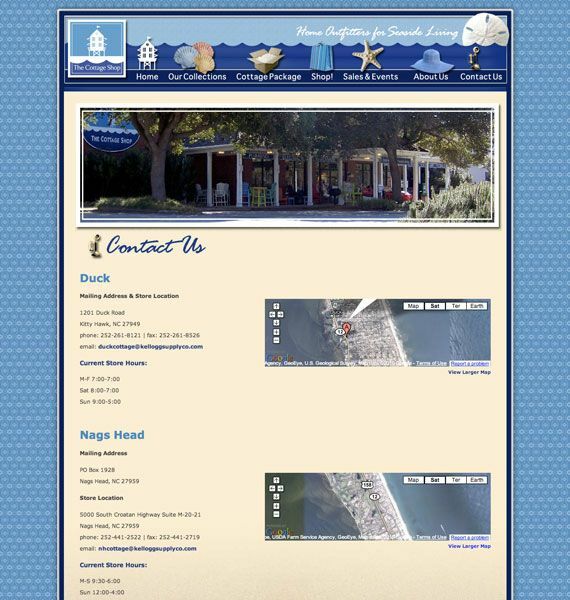 The online store was complete with full ecommerce functionality in both the front end user interface and the back end product management. 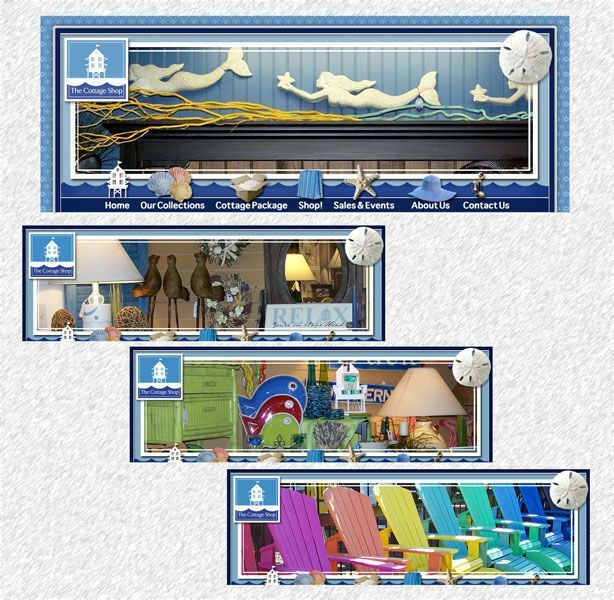 Custom buttons and artwork was specially created to bring this site to life and play off the beachy, artful feel of the stores and brand. 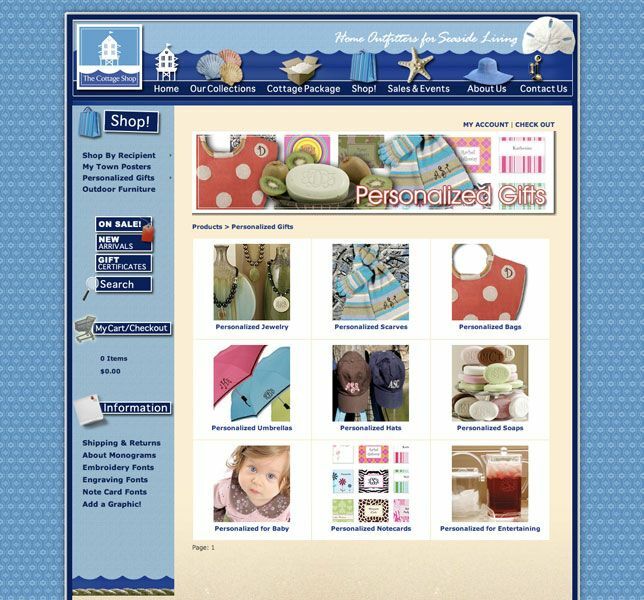 Many products within this site can be customized (different colors, materials, etc.) and personalized (customers can enter their initials or name for custom engraving or printing). We'd love to provide a proposal and cost estimate! 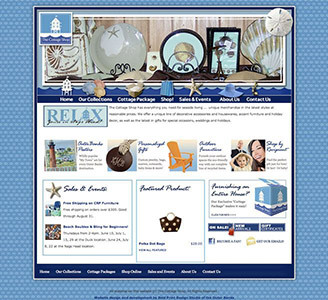 All Content Copyright Bold Print Design Studio, Inc. Website Design, Web Development & Hosting by Bold Print Design Studio.